There's more to Boykin spaniels than just soulful topaz eyes. 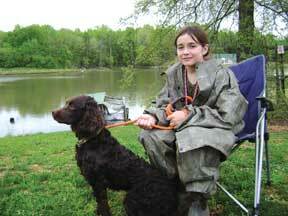 For proof, check out the "little brown dogs" (LBDs to their fans) at the Boykin Spaniel Society's annual field trials. What's a little rain when you've got a champ of a little brown dog to show off at a field trial? And not just any field trial. 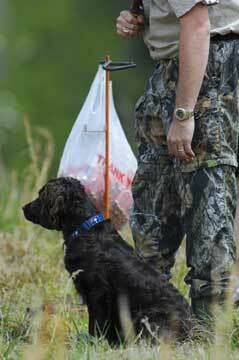 It's the Boykin Spaniel Society (BSS) National Retriever Field Trial, the top-of-the-heap competition for the breed. Spread out over the expansive Clinton House Plantation, last spring's 2011 edition of the event (its thirty-first) played host to intermittent rain, as well as 162 competing Boykins and their owner-families. No worries. When the drops fell, everyone just visited in the clubhouse and shopped the BSS Boykin store; after the showers passed, they got back to business. Not a hard Plan B for Boykin owners - they're sociable folk who treat each other like extended family. With the sun out again at the mid-April event, participants headed back outdoors, congratulating one another on their dogs' showings thus far. The youngest owners trotted with their Boykins down to the lake in front of the clubhouse for the children's handling stakes, meant to encourage youngsters in the training of their dogs. Before returning to their respective competitions in the surrounding fields and lakes, a few adults paused to examine an impressive trailer custom-built to transport LBDs. But nothing could hold these owners for long, because the interrupted class testing, the duck dog shootout, the hotdog retrieve, a tailgate party and an awards ceremony for dogs and masters awaited. And that was just one day of action at the four-day event. 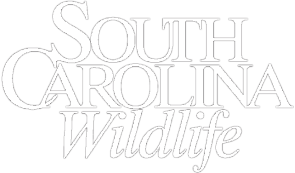 Helped along by the growing popularity of the BSS field trials, the reputation of our state dog has spread far beyond the boundaries of its home state and become a tourism booster for South Carolina, says Steve Christian, a Boykin enthusiast and BSS member. 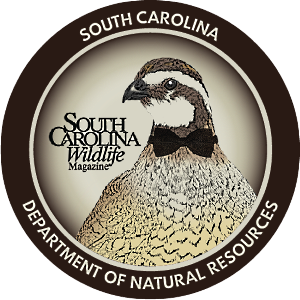 "The spring national, coupled with the BSS National Upland Field Trial held in January, attracts a significant number of participants from across the United States," says Christian. "They are the two premier events for the society, which now has more than three thousand members with registered Boykin spaniels from all fifty states and a dozen or so international locations. 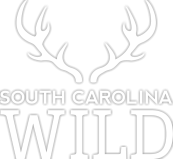 South Carolina's own little brown dog is winning the hearts of hunters and pet owners the world over." According to Bill Crites, the current BSS board chairman, considering its winning attributes, it's no wonder the brown-coated, golden-eyed Boykin has become so beloved. "We've had 'em in our family for over twenty years," says Crites. "They're loving and loyal and great with children, good around the house as pets. But they can flip that light switch on when they go outside and turn into the most unbelievable upland hunters and retrievers imaginable, full of spirit. They're an ideal size: the highest is eighteen inches at the shoulder and about forty pounds, so they don't take up significant amounts of space. Two other good things about Boykins: one, with a little brushing, they don't shed much, and two, they don't smell bad." Crites adds that not just Boykins, but spaniels in general tend to be loving homebodies. With a chuckle, he reveals that he and his wife, Dawn, sleep with some of their LBDs. "We try to pick one at a time because there's not a king bed big enough for all of them and me and the wife," he says. 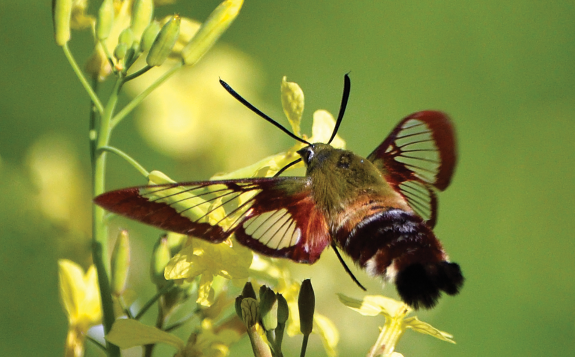 "They work on a rotating basis as to who gets to sleep on the bed at night. And they get along well together. I have four Boykins at present, and my sister's Chihuahua is here with them. They take turns rolling her around on the carpet." 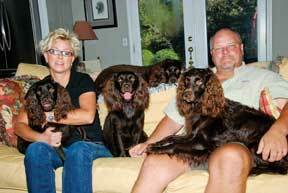 Crites, who won first place in the 2011 Doubles Roustabout with an LBD named Piper Anne, will also tell you the Boykin Spaniel Society evolved from modest beginnings. The field trials started out as simply a picnic where everybody brought the family Boykins and kids and enjoyed a few small-dog contests. It grew from there, with the organization officially founded in 1977 in Camden, its current home. BSS members created the official registry for the breed in 1979. Today, BSS members' recorded dogs number more than ten thousand, and there are BSS-affiliated clubs active all over the Eastern Seaboard and the Upper Midwest. In addition to its spring and winter field trials, the BSS holds its Upland Training Seminar in December, sponsors the Boykin Spaniel Foundation to promote the genetic health of the breed and supports Boykin Spaniel Rescue (www.boykinspanielrescue.org/), which saves Boykins from shelters and other unfortunate living situations. Of course, the progress a Boykin is fondest of is swift movement across the water in pursuit of game. They get plenty of that at the spring national, whether they are competing in the open (the most highly trained dogs), intermediate, novice or puppy class. Bill Crites details what happens if a dog is eliminated from the championship early on. "The spring national is, first and foremost, a national championship," says Crites, "but sometimes you come to a national, and things don't go your way. Fifteen minutes after you walk in the door, you're finished. We make a serious effort to provide entertainment for you and your dog the rest of the weekend, because it is a four-day event. There are side competitions like speed-dog retrieve. It's pretty simple: who can jump over five hay bales, pick up a dummy and come back in the quickest time? The winner gets a trophy or cash prize. Gives you bragging rights - you've got the fastest dog out there. Another side event is the Roustabout. You and your dog have twelve minutes to find, flush, shoot and retrieve three birds. The winner is the team that does it with the fewest shells in the shortest time." While the spring test is in essence a reproduction of a duck hunt (although some action takes place in the field), the wintertime upland national is designed to test the skills involved in hunting of upland birds such as pheasants or quail. In this case, the dog goes out in front of the hunter, constantly moving back and forth in a windshield wiper-type pattern and searching for birds. 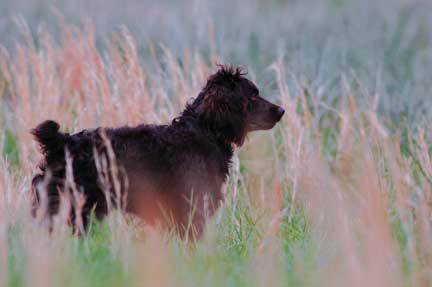 When the dog smells birds, it will go into the briars and thickets to flush the bird so the hunter can shoot. Then, if a bird is downed, the dog will pick it up and bring it back to the hunter. Boykin owners agree that one of the most satisfying activities of a BSS event is the chance to talk Boykins with other like-minded LBD devotees. Another high priority is members helping each other make good. Put these together with some sweat equity, and you have the BSS recipe for success. The BSS National Retriever Field Trial is held in April - check https://www.boykinspanielrescue.org/ for scheduled dates and ticket information. 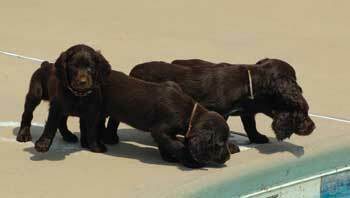 Boykin Spaniel Society members love talking about their little brown dogs, and with good reason: LBDs make for great stories. "Years ago, a bush pilot in Alaska acquired a puppy from us. 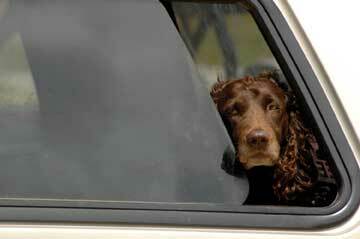 He got the dog because, although he had other dogs, the forty-pound Boykin could fly with him. (He said his last little dog had several thousand hours of flying with him all across Alaska.) One day, he said to me, 'Boykins are also wonderful bear dogs.'' I asked what he meant - he lived on the Kenai Peninsula - and he said, ''We have a cabin deep in bear country. If there's a brown bear anywhere around the property, my Boykin will not go outside. This little dog is very smart. My other dogs will go outside in a heartbeat. Not this dog!' "
"I've got a sweet Boykin named Isabelle - Izzy - and she's my dog. (The dogs kind of decide themselves who they belong to.) I travel, and I'm back home only on the weekends. Six thirty on Friday evening, she goes and sits in front of the window that looks out up the driveway. She doesn't do it during the week, but she knows I'm supposed to be home about that time, so she waits for me. Once I arrive home, she has nothing to do with Millie for the rest of the weekend. Kinda like, 'Thanks a lot, but we don't need you anymore - Daddy's home!' "
"Back in 1994, we were out in Nebraska pheasant hunting with friends. 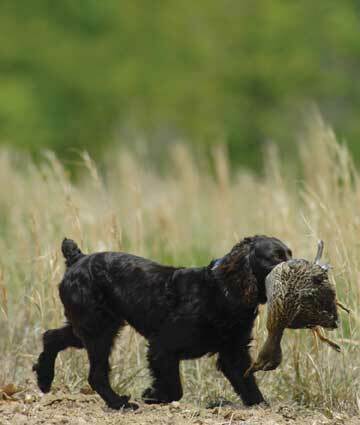 We were busy working with larger dogs - Labs and bird dogs used to being out there - and our friends had never seen a Boykin before. Some pheasants were shot down, and they drifted over to a huge, tall cornfield. One of the fellas hunting with us said jokingly, 'Do you think your Boykin can go get that pheasant?' I said, "Well, certainly he can!' I gave him a direction, all the dogs followed him in there, and my Boykin came trotting out with that beautiful pheasant in his mouth. I was just as proud as I could be. That was a Kodak moment! We had to have a picture taken with all the dogs and the Boykin in the middle with the pheasant in his mouth. That probably was the most inspiring thing that led us to want to continue with our Boykins." Rosanne McDowell is a Columbia-based freelance writer and editor, and also serves as the resolution writer for the South Carolina Legislative Council.